March April 2003 Back to the Future AL. 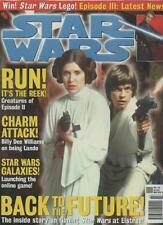 STAR WARS MAGAZINE. Silveracre has been dealing in the very finest comics and collectibles since 1988. We accept all major credit cards. Don't worry, we will always get to you! PO Box 114. It will normally be fine if we are notified in advance. "Max Carnage" by Simon Bisley & Dave Elliott. Silveracre has been dealing in the very finest comics and collectibles since 1988. It will normally be fine if we are notified in advance. Add us to yourfavourites list. We accept all major credit cards. 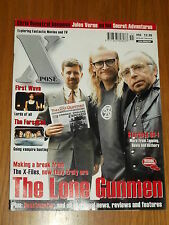 DOCTOR WHO MAGAZINE #185 1992 YOU ARE BIDDING ON A RARE UK MAGAZINE OF THIS TIMELESS SERIES MAGAZINE IS IN EXCELLENT CONDITION FOR AGE. INCLUDES RARE POSTCARDS HIGHLY COLLECTABLE I WILL COMBINE POSTAGE ON MULTIPLE ITEMS BOUGHT. THANKS FOR LOOKING AND CHECK OUT MY OTHER DOCTOR WHO MAGAZINE ITEMS! SKYVEIL – SYDNEY J SCYOC. 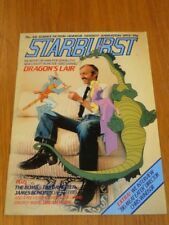 WEB OF EVERYWHERE – PART 2 OF 2 – JOHN BRUNNER. THE DISCOVERY OF EARTH – STEPHANIE TRIPP. 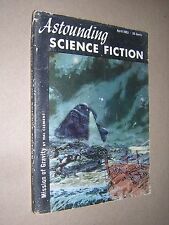 "Astounding Science Fiction". Small pulp mag of short stories. 170 pages. See pics for contents. April 1953. DOCTOR WHO MAGAZINE #159 & #161 1990 YOU ARE BIDDING ON 2 X RARE US MAGAZINES OF THIS TIMELESS SERIES MAGAZINES ARE IN VERY GOOD CONDITION FOR AGE. HIGHLY COLLECTABLE I WILL COMBINE POSTAGE ON MULTIPLE ITEMS BOUGHT. 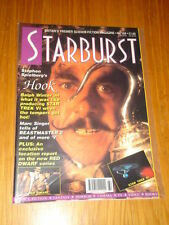 THANKS FOR LOOKING AND CHECK OUT MY OTHER DOCTOR WHO MAGAZINE ITEMS! Silveracre has been dealing in the very finest comics and collectibles since 1988. Don't worry, we will always get to you! WHY BUY FROM US?. We accept Debit/Switch cards. DEBIT/SWITCH CARD We accept all major credit cards. Silveracre has been dealing in the very finest comics and collectibles since 1988. It will normally be fine if we are notified in advance. Add us to yourfavourites list. We have been trading for over 25 years, and pride ourselves on our knowledgability, professionalism and friendliness. SFX MAGAZINE. SUBSCRIPTION COLLECTORS COVER EDITION. PRE OWNED BY A COLLECTOR AND IN EXCELLENT CONDITION. Silveracre has been dealing in the very finest comics and collectibles since 1988. 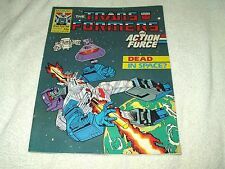 COLLECTIBLE BRITISH WEEKLY COMIC. Don't worry, we will always get to you! It may or may not be the copy you receive. 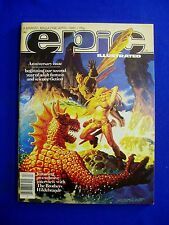 STORIES BY - JOE HALDEMAN - PETE D MANISON - J BRIAN CLARKE. " ANALOG " DATE - APRIL 2004. AN ISSUE OF THE USA SCIENCE FICTION AND FACT MAGAZINE. THE BEHOLDERS EYE - BY JENNIFER H ORR. UTOPIA NEVER – BY THOMAS M DISCH. LIGHT CREASE ON THE SPINE EDGE - OTHERWISE VERY GOOD - CLEAN. UNTO US A CHILD IS BORN – BY DAVID H KELLER. WE DO NOT ACCEPT - MONEY ORDERS - OR BANKERS DRAFTS -. Isaac Asimov Science Fiction Magazine April 1986. 192 Page Softback Book. Book has been lightly bumped on open corners. Book is still tightly bound and square. 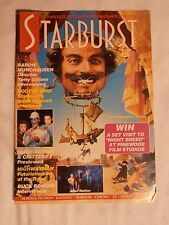 NEW STARBURST HELLBOY FRIGHT NIGHT BIGFOOT PLUS MUCH MUCH MORE. Classic Video Super Hits Vol.2 No.1 April 1977 Space Odysseys. Space 1999. Monsters and Heroes from Outer Space. Star Trek Mania. Magazine in excellent condition, pages have yellowed with age and there are signs of wear on the top and bottom of the spine as shown in the photographs.